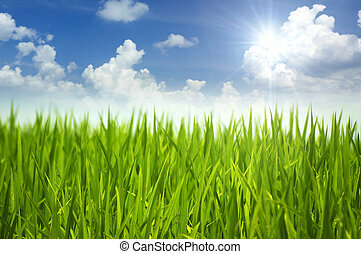 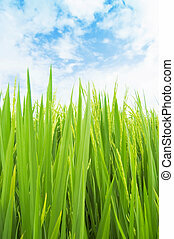 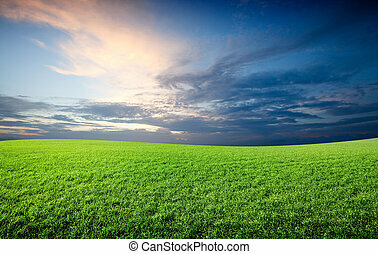 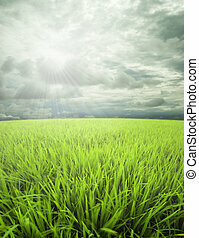 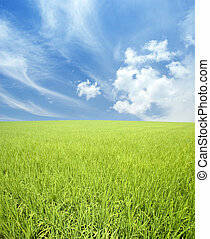 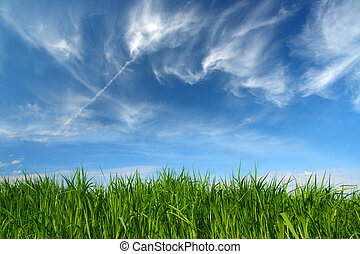 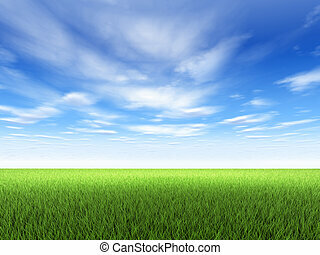 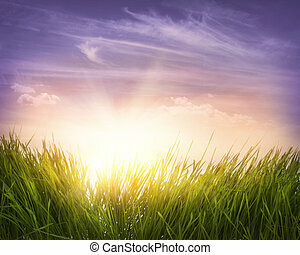 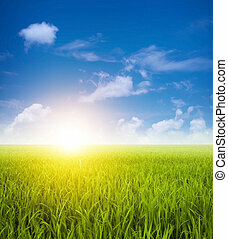 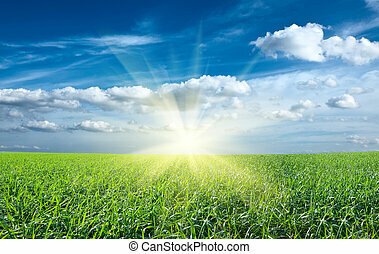 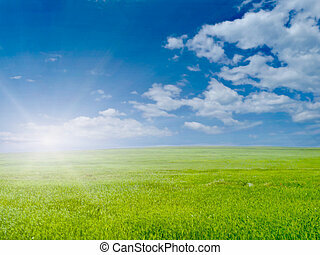 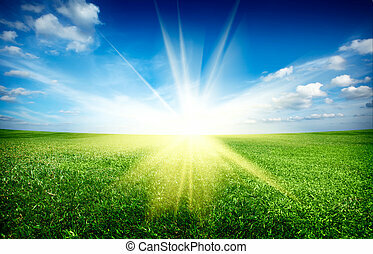 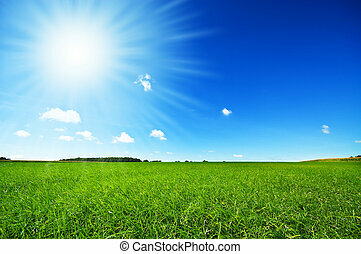 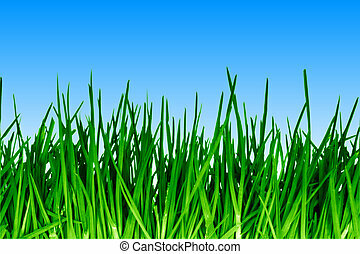 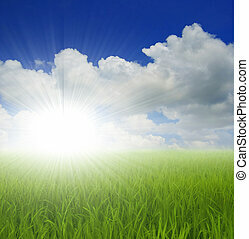 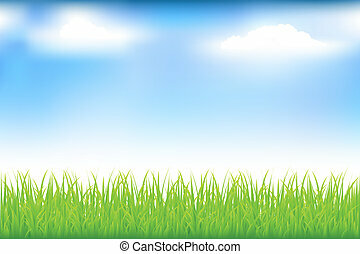 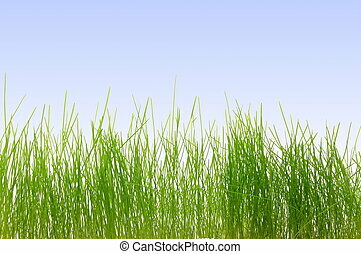 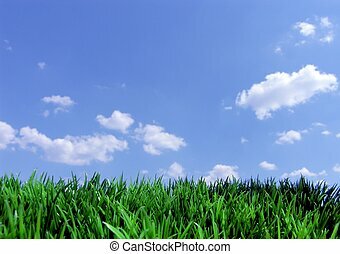 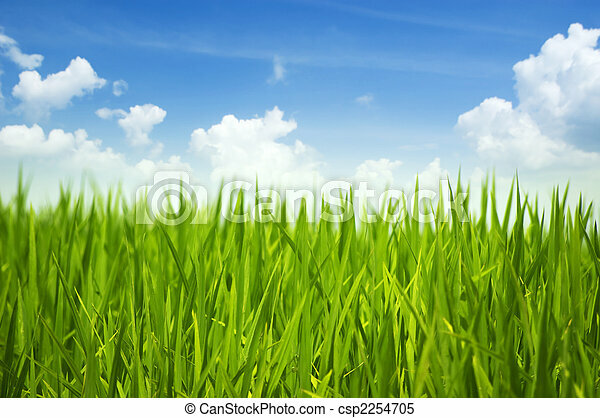 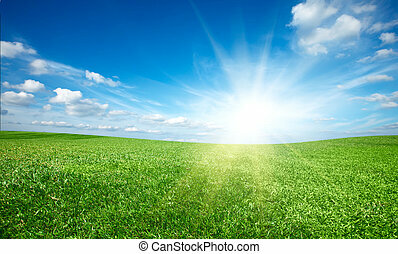 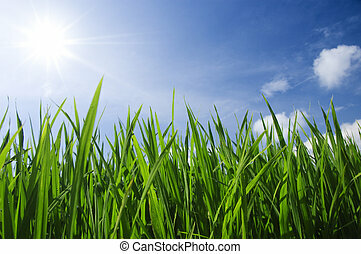 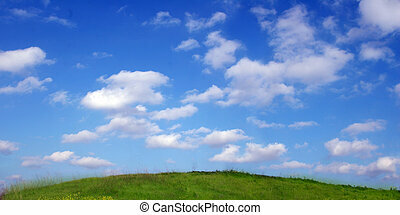 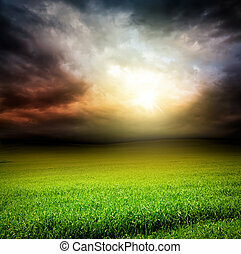 Fresh green grass and sky in a morning. 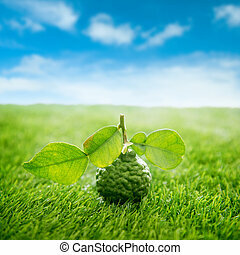 Pesticide free fresh organic kaffir lime with leaves on green lawn, blue sky background. 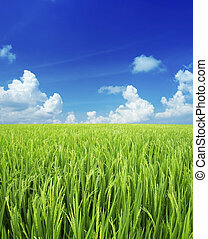 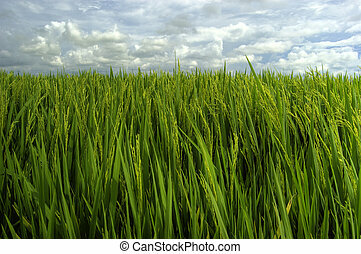 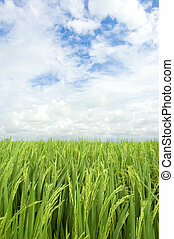 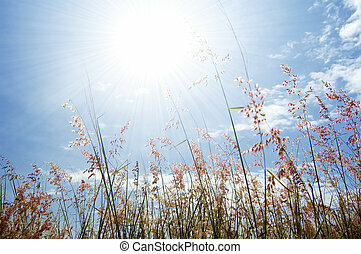 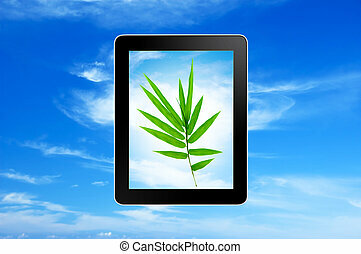 Paddy fields landscape view in clear blue sky. 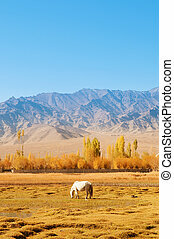 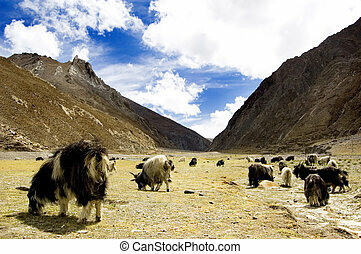 Horse eating grass at Holy Fish Pond, Shey Monastery, Leh Ladakh, India.